It's pink because it's actually a form of albinism and was found in a lake in Louisiana. 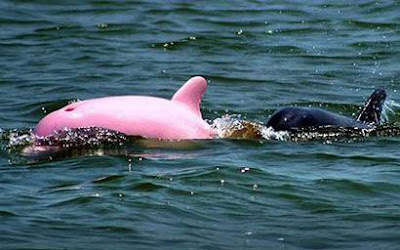 This pink dolphin is said to look just like the other dolphins except for its stunning pink color and reddish eyes. I just thought that was really cool. i hope all the dolphins will be like this!